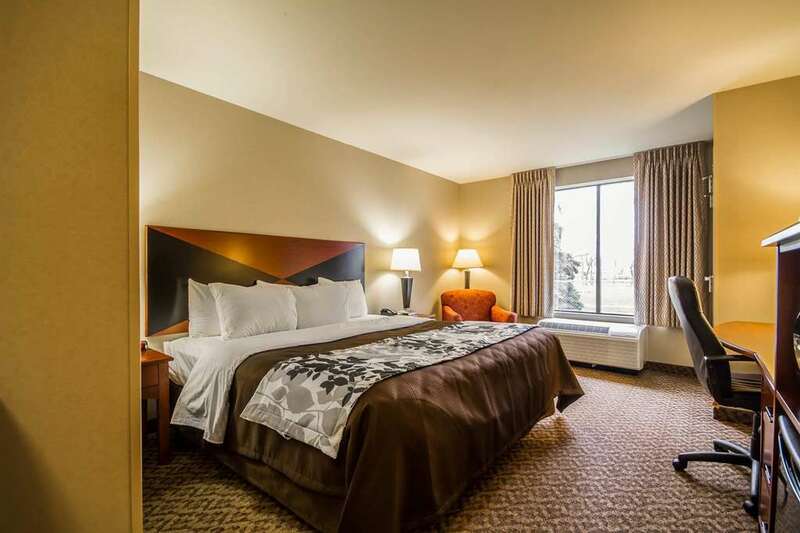 The smoke-free Sleep Inn and Suites Airport hotel in Milwaukee, WI will give you a simply stylish experience. We are close to attractions like Lake Michigan, Milwaukee Area Technical College, Summerfest Music Festival and the Milwaukee Art Museum. Enjoy free breakfast, free WiFi, free airport transportation and free coffee. Your guest room offers warm, modern designs, and includes a TV, coffee maker, hair dryer, desk, microwave, refrigerator, iron and ironing board. Also, earn rewards including free nights and gift cards with our Choice Privileges Rewards program.